The Hobby is much less common than the Kestrel. In the air, it is recognised by the spectacular actions in hunting for insects, e.g. dragonflies. 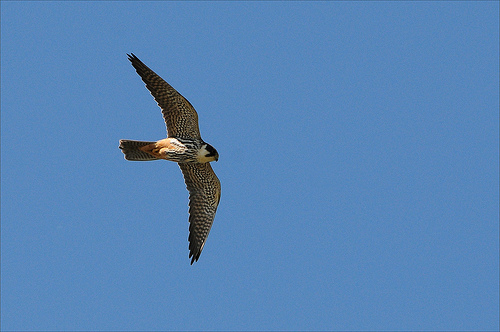 The Hobby is a small falcon and has red feathers near its legs. The Hobby is bluish-grey with a black spot on the head. The Kestrel is brown. 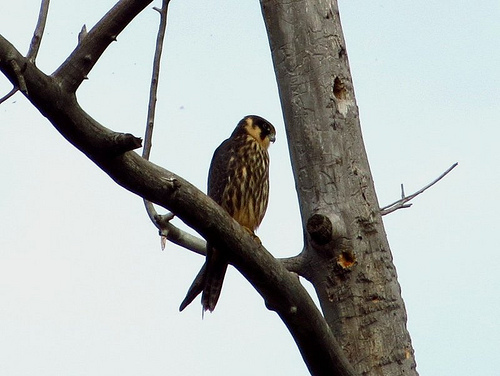 The Hobby is much smaller and has red feathers near its legs.